Recent discussions over the correct dates and events in prophecy led me to do some research on the date of 677 BC. This picture to the right, is an enlarged shot of the text of 2 Chron. 33:11 from the original 1769 King James Bible. To the left of the text describing the capture and captivity of Manasseh, the date 677 is clearly stated in the margin. The following is a collection of some of the historical quotes that I have studied (and their subsequent dates), showing that the year 677 B.C. is when Manasseh, King of Judah, was taken into temporary captivity by the soldiers of Esarhaddon and taken to Babylon, which at that time was Esarhaddon’s temporary capital. This of course was the start date for the "Seven Times" prophecy, also called the "2520." 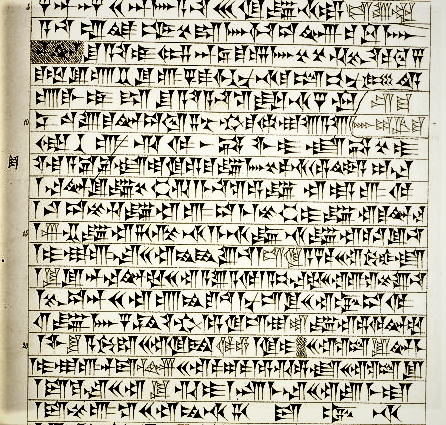 There are some other higher-critical sources that disagree with this date and Assyrian ruler for the captivity of Manasseh, but they contain conflicting reports and are based in doubt and inconsistency – while many firm statements, the most respected historians, and the weight of evidence all point to the year 677 B.C. as the correct date for Manasseh’s Babylonian captivity. “677 Manasseh taken captive to Babylon." “Ever since 677 B.C. 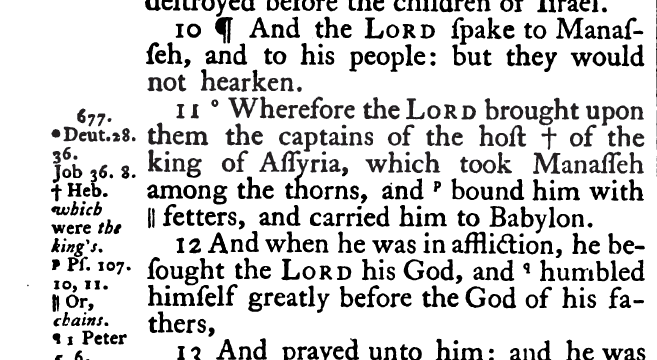 the Bible has said that "the captains of the host of the king of Assyria took Manasseh among the thorns, and bound him with fetters, and carried him to Babylon." Interestingly, Esarhaddon had made Babylon his temporary capital while he worked to rebuild the city. According to archaeological records, it was only during the reign of Esarhaddon that Babylon was made a “temporary capital”. The next ruler (Esarhaddon’s son Ashurbanipal) reigned only from the Nineveh capital. Esarhaddon was also the only Assyrian king to rule from Babylon and to be called the “king of Babylon” along with his title “king of Assyria”. 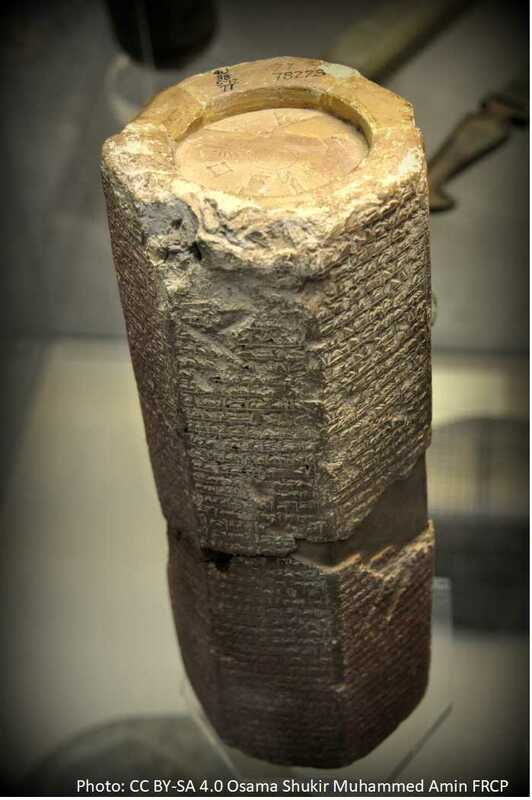 Stone cylinders of records from various rulers of Assyria and Babylon have been found throughout the years, which give us a good look into the history of that period of earth’s history. One of these Assyrian kings was Esarhaddon, who ruled Assyria and Babylonia from 681 – 669 BC. Here are pictures of some of the stone cylinders discovered from Esarhaddon’s reign. Major-General Sir Henry Rawlinson served in the British army, and was one of the two individuals (the other being Edward Hincks) who successfully provided a working decipherment of Mesopotamian cuneiform. Rawlinson is known the world over as the “Father of Assyriology” and "The Discoverer of the key to the Ancient Persian, Babylonian, and Assyrian Inscriptions in the Cuneiform character.” He is one of the top foremost experts in the history of Assyria and Babylonia. 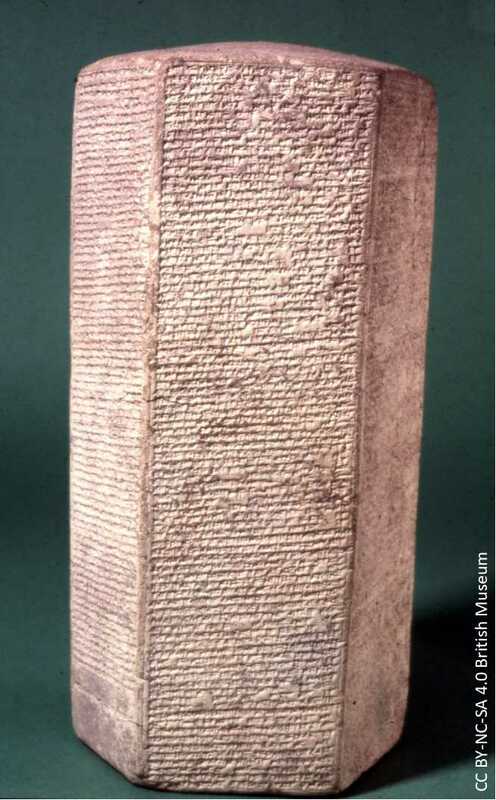 Fragments of the Annals of Esarhaddon found on the lower half of a broken hexagonal cylinder, which is now in the British Museum, reveal some interesting information about Esarhaddon’s conquests. where Esarhaddon himself specifies that Manasseh, King of Judah, was one of the kings that he himself overthrew and brought into submission. (captured and taken to Babylon). This reference is also mentioned in Professor George Barton’s book, “Archaeology and the Bible” (p.438). George Barton was Professor of Semitic Languages at the University of Pennsylvania and Director of the American School of Oriental Research in Baghdad. Some of the well-known scholars and historians who taught 677 B.C. and/or the reign of Esarhaddon, for the captivity of Manasseh, either directly or indirectly. Some Millerite/Adventist Pioneers who studied, believed, and taught 677 B.C. for the captivity of Manasseh.